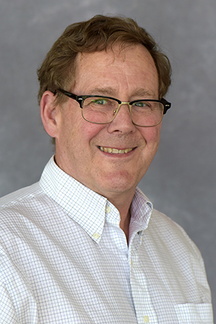 Peter Harper, MD, MPH, serves as department medical and quality improvement director; faculty at the University of Minnesota Medical Center Family Medicine Residency; and medical director of the Hubert H. Humphrey Job Corps Center in St. Paul. His medical interests include community-oriented primary care and asthma. Mendenhall TJ, Harper PG, Henn L, Rudser KD, Schoeller BP. Community-based participatory research to decrease smoking prevalence in a high-risk young adult population: an evaluation of the Students Against Nicotine and Tobacco Addiction (SANTA) project. Fam Syst Health. 2013;32(1):78-88. Mendenhall T, Harper P, Stephenson H, Santo Haas G. The SANTA Project (Students Against Nicotine and Tobacco Addiction): Using community-based participatory research to reduce smoking in a high-risk young adult population. Action Research. 2011;9:199-213. Mendenhall T, Berge J, Harper P, Greencrow B, Littlewalker N, Whiteeagle S, Brownowl S. The Family Education Diabetes Series (FEDS): Community-based participatory research with a midwestern American Indian community. Nursing Inquiry. 2010;17(4):359-72.